Brittany is so excited to be working with Kokandy Productions for the first time. 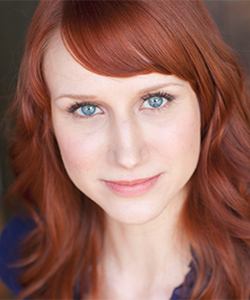 In Chicago and throughout the midwest, Brittany has worked with Aston Rep, Stone Soup Shakespeare, Fox Valley Rep, The Waltzing Mechanics, Underscore Theatre Company, and Hope Summer Repertory Theatre, among others. She received her B.A. in Theatre from Hope College, where she had the honor of performing at the national level of the Kennedy Center American College Theatre Festival in the world-premiere production of Rose and the Rime.